Size: 60"x20"(152cm x 50cm). smooth surface. It will wrap dash parts, mirrors, trim, or the whole exterior of the. 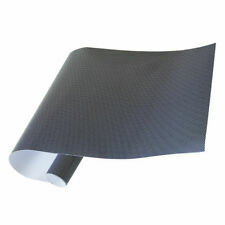 - Highly flexible PVC film,nondiscolouring when stretching. - Have air release,do not keep bubble. Color: Copper Size: 60"x20"(152cm x 50cm). Dry Glue Heat Technology. Suitable for interior or exterior use. Air bubble free. 4-6 year exterior lifespan. Easy to manipulate around tight curves using the approved heat gun. Permanent acrylic pressure-sensitive self-adhesive. Vinyl Sheets are easy and fun to install and remove, and they won't harm the painted finish surface of your vehicle. Color : Gold. That would be the best honor for us. Size: 53"x20"(135cm x 50cm). Application: Can be applied on interior and exterior surfaces of a car bonnet. spoiler, bumper, car roof, car mirror, interior decoration and so. Function:Water proof, UV ; Filter harmful light ray. Color : Lake Blue. Very easily cut - scissors will slide right through. The ultimate in flexibility. Air pocket release backing design so there are no bubbles. Will not harm your paint or natural finish - no residual glue once removed. 7, without leaving any glue residue: easy wrapping, easily remove, not to hurt the paint, leaving no residual, achieve amazing effects. 2, Cast vinyl wrap film with air release bubble-free technology. That would be the best honor for us. Expel all the air from the sheets using needle after you paste it. - it's really tough to stick on the coated painting wall and rough wall. The wood grainy paper has an effect of real wood; low shrinkage, few spots, good flatness, clear luster, water and dampness proof. Help to hide existing scratches and protect the surface you are going to apply. - This material can be used on itnerior or exterior of vehicle wrap. Thickness: 0.18mm. - Flexible and durable - Bond to flat or curves surface on you (applied with heat). Material Type:PVC Vinyl. Air Release,Heat Resist,waterproof. Life:(based on verticalsurface exposure)6-8 years. That would be the best honor for us. Very easily cut - scissors will slide right through. Air pocket release backing design so there are no bubbles. Will not harm your paint or natural finish - no residual glue once removed. Water proof. Color: Magenta 2 x Layers (Paper backing). Suitable for interior or exterior use. Easy removal with no glue left behind. 4-6 year exterior lifespan. Air bubble free. Size: 20" x 60"(50cm x 152cm). Size: 60"x12 "(152cm x 3 0cm);. - Durable material resistant to water, dirt and oil. - Strong adhesion capability with bubble free installation. the possibilities are endless. - Easily cleaned with simply soap and water. Easy to operate. That would be the best honor for us. Color: black. Fabric with good toughne ss. Size: 20" x 60"(50cm x 152cm);. Color :Silver. Paper: 140gsm. Compatibility: Die cutting, car decoration, architectural decoration. That would be the best honor for us. Texture:Glossy wrapp film. Features: Air Release, Heat Resist, waterproof. Life: (based on vertical surface exposure) 6years. Air-Channel Release Technology. Conformity and stretch up to 200% (30% or less is suggested for optimal performance. ). Adhesive backing with air release technology for a bubble free installation. Color: gold. That would be the best honor for us. No Curling after applications. Can also be used with a heat gun or household blow drier for shaping. Thickness: 0.18mm. Self adhesive. Will not harm your paint or natural finish. Low cost compared to a paint job! Indoor life of over 8 years. Can also be used with a heat gun or household blow drier for shaping. Will not harm your paint or natural finish. Color: Blue. Water proof and stain resistant. That would be the best honor for us. Super thin (0.2mm) to fit in most tight spots or corners. Self adhensive Easy to apply. That would be the best honor for us. Size: 20"x60"(50cm x 152cm). Product pictures. Size: 39.37" x 60"(100cm x 152cm) ;. 7, without leaving any glue residue: easy wrapping, easily remove, not to hurt the paint, leaving no residual, achieve amazing effects. 2, Cast vinyl wrap film with air release bubble-free technology. Size: 12"x12"(30cm x 30cm). Anti-fog film:To prevent the mirror produces fog, to prevent the formation of mist. Application:Apply to the bathroom mirror, vanity mirror, changing clothes mirror. glass windows, windshield windows,rearview mirror,fish tank and other glass. Need sharp utility or knife,squeegee, blow dryer, or heat gun to install. You can cut the shape you like. Fashion and decoration, unique and attractive. Resistant to UV, water, dirt, grease, salt, mild acid and oil. Very easily cut - scissors will slide right through. Will not harm your paint or natural finish - no residual glue once removed. Water proof. Color : Silver. That would be the best honor for us. Highly stretchable. Perforated printing film acts like a one-way mirror, allowing you to see out through advertising decals placed on your window. Product finish: Gloss Black (Front) ; Black (Back). That would be the best honor for us. Size: 21cm x 30cm. 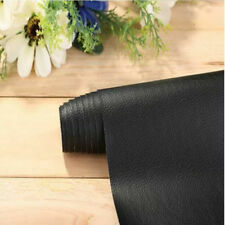 Color: bLACK Dry Glue Heat Technology. That would be the best honor for us. Finish :High Glossy. Can be applied on the interior and exterior surface of car or motorcycle as u like to protect the car. High temperature & water Proof. Car film:0.12-0.13mm thickness. Materials:High clear PET film. Light transmittance: 70%. Size: 29.5" x 60" ( 75 cm x 152cm). Use for:Car side window. Size : 60"x33ft(152cm x 1000cm). Color : dark green. Compatibility: Die cutting, car decoration, architectural decoration.